This writing tour inspired by nature takes place in south Galway. It can be taken by individuals or a group. I have devised it inspired partly by my own experience in writing spiritual poetry in response to nature, and also to honour the legacy left by the great writer and poet WB Yeats, who lived many summers in south Galway. We frequent many of his favourite localities in this workshop/tour. Please contact Earthwise with your interest in attending this workshop set in Gort in South Galway. 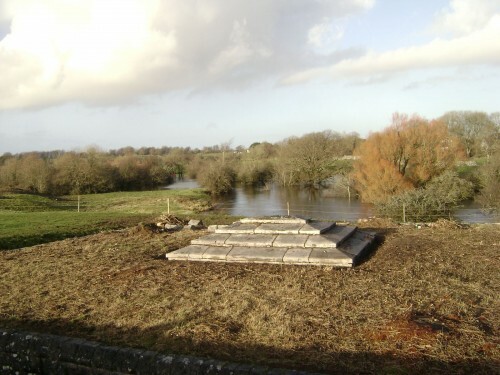 The photo is of an unusual mausoleum containing the remains of Lord Gregory, husband of Lady Augustus Gregory who actively encouraged many of Ireland’s writers and poets in the early part of last century. The mausoleum is on private land that formed part of his estate. It lies over underground rivers that emerge from a deep cave, which I once set to films and my poems. From here the river weaves its way to the sea at Kinvara in the Burren.